Blimey, hot enough for you, etc, how’ve you been, going anywhere nice on holidays? Yes I know, you haven’t seen me around here in ages. I’ve been blogging less partly because my life feels like it’s all about Sproggett, and I don’t talk about him that much on here (which ironically is a whole other post). Anyway like with my last post about cold brew, at the moment we’re all about how to make food shopping and cooking easier. Since having a small human we’ve had to get out of the habit of ‘throwing something together’ (ahem, ordering a takeaway) for supper or thinking ‘oh I’ll just pope out and get those three esoteric ingredients that come from a specialist shop in favour of planning ahead. So that’s a big food shop on the weekend, prepping lunches in advance, planning what to eat a week at a time. It’s one of those things that a bit dull but rewarding. That’s what I keep telling myself. I’ll be honest, we find it quite hard but it’s getting better. I’m now thinking that maybe a veg box scheme would be good – although not knowing what’s going to arrive in the box would kind of screw up planning, right, unless you plan the night that the box has been delivered? We recently received a sample delivery from The Dairy Girl, which is a bit like a veg box scheme for cheese, with curated monthly deliveries. And no danger of an oversupply of kale. I’m kidding, but the service is actually a rather nice idea. If you’re the sort of person who likes visiting Neal’s Yard or La Fromagerie and picking what looks appealing then I think you’ll like this – you’re able to narrow down the selection by giving the your preferences and then you get the cheeses and recipe cards with tasting notes by courier. We had the taster box of four, and that worked well for two (fairly cheese-greedy) people. I know that cheese isn’t long-lead so you don’t want it sitting around but one or two people would get through the taster box fairly easily. 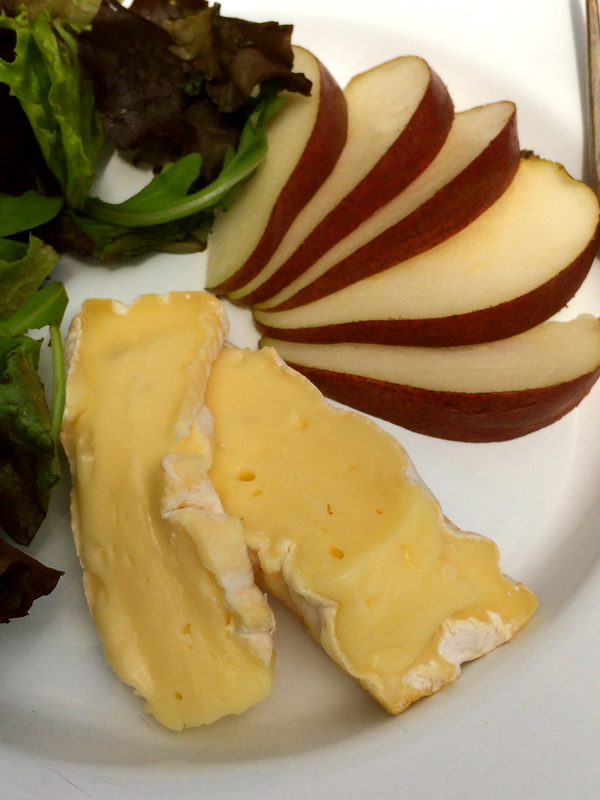 Our box contained Rachel, Pont L’Eveque, Badentoy Blue and Mrs Kirkham’s Lancashire, and between following the suggested recipes, like Pont L’Eveque with pears and the Mrs Kirkham’s for cheese on toast, and just eating it in place of dessert, we were very happy bunnies. The branding is lovely and the tasting notes are a nice touch. At £17.95 + delivery it’s positioned about the same as a chesemongers – no, this isn’t value cheddar and it’s not for making kids’ lunches unless they are very bloody lucky – it’s great food from small producers. It’s subscription-based but the site promises you can pause or change your preferences easily. You can also gift it easily which is a nice touch, I know that ripe-enough-to-drip-off-the-board unpasteurised cheese was one of things I was dying to eat again after being denied it when pregnant. Also good as a wedding gift for any couples you know, as you can do up to six months of deliveries as a present. Good luck to Rachel, it’s a lovely idea and she seems uber-passionate about taste, the industry and working with small producers. It’s a lovely way to get introduced to some new cheeses you might have to work find to discover otherwise. Oh and if you ever end up with any spare Gruyere from your cheese box, make Smitten Kitchen’s Rosemary, Gruyere and Sea Salt crackers, ideally as tiny bunnies. Disclosure: We received the box as a gift but the review is entirely my own opinion.